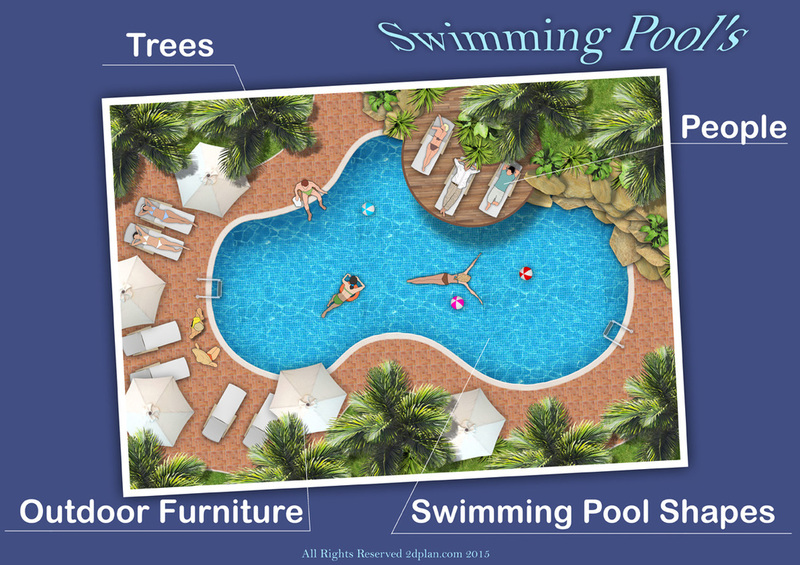 Save your time and money, start working with the best software solution for swimming pools design, the swimming pools design palette include everything you need for creating beautiful 2d graphic presentation that will help you and your customers to understand and remember the benefits of your swimming pool design. 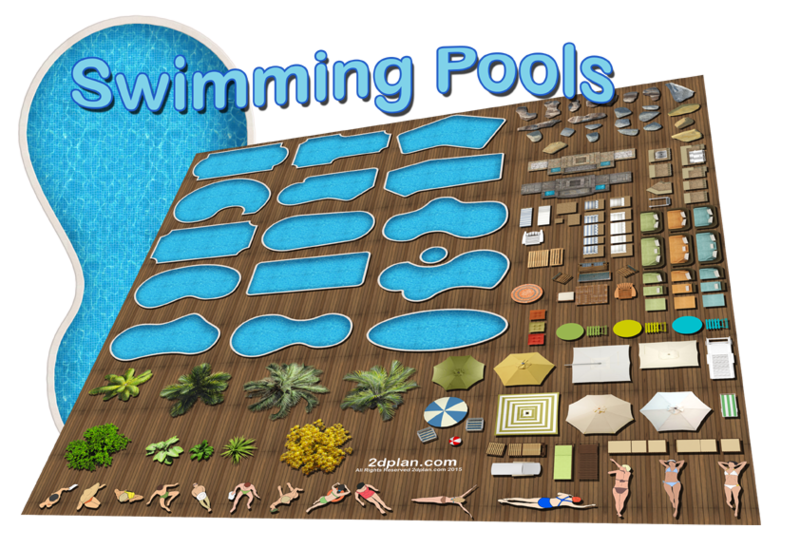 The palette include colorful 2d symbols images of: Swimming pool shapes, Outdoor furniture, Rocks/Boulders, Trees and plants, People and much much more... Also the pack include Extra bonus of texture maps images. 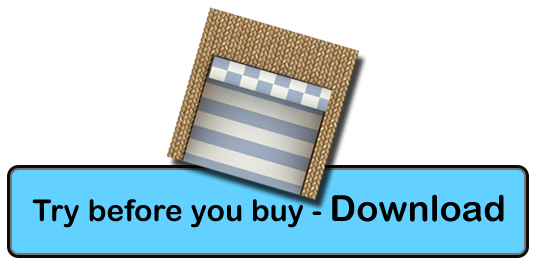 Work fast by using the basic tools of Photoshop software, create unlimited designs by using the best swimming pool design software graphic solution, work like a professional graphic designer.